Once upon a time, a fisherman found an injured turtle resting on a sandy beach. He saw the turtle again on the next day… and the day after. The fisherman was mystified and put his hand into the sand to find it warm! 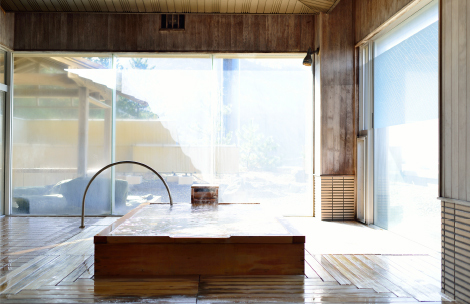 which is “Kame” in Japanese. 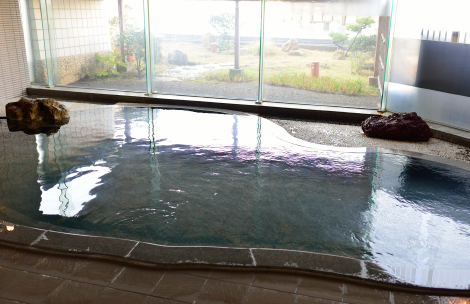 The clear hot water is said to cure and refresh the body and soul. Located on the 3rd floor (Ladies’ ONLY). cut, burn injury, skin disease, female disorders, arthralgia, fatigue recovery etc. 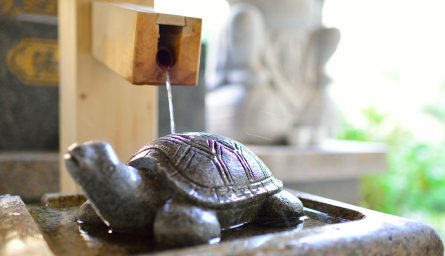 Hot spring water trickles down peacefully to a lovely turtle sculpture at the entrance of Kameya. 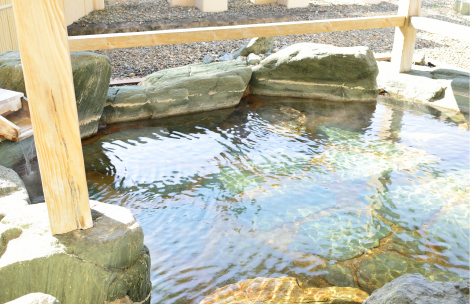 The drinkable hot spring water, a blessing from Mother Nature, effects digestive function.